Incumbent local officials will have random drug testing to ensure that the voters have the insights about the candidates they are supporting. 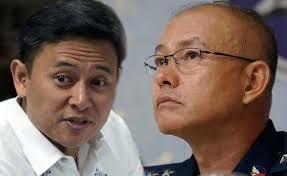 Senator Juan Edgardo “Sonny” Angara, chairs the Senate Committee on Local Government, also said the Commission on Elections (Comelec) and the Philippine Information Agency (PIA) backed up the plan of the Philippine National Police (PNP) Chief Director Oscar Albayalde, assured that the incumbent officials competing for the seats of the Barangay and Sangguniang Kabataan (SK) elections are drug free, from points of selling and using illegal drugs. “The DILG (Department of the Interior and Local Government), as well as the barangay itself, may carry out random drug testing of current officials,” Angara said. “Our countrymen should be educated on the persons they should vote for in their respective barangays,” Albayalde had said.